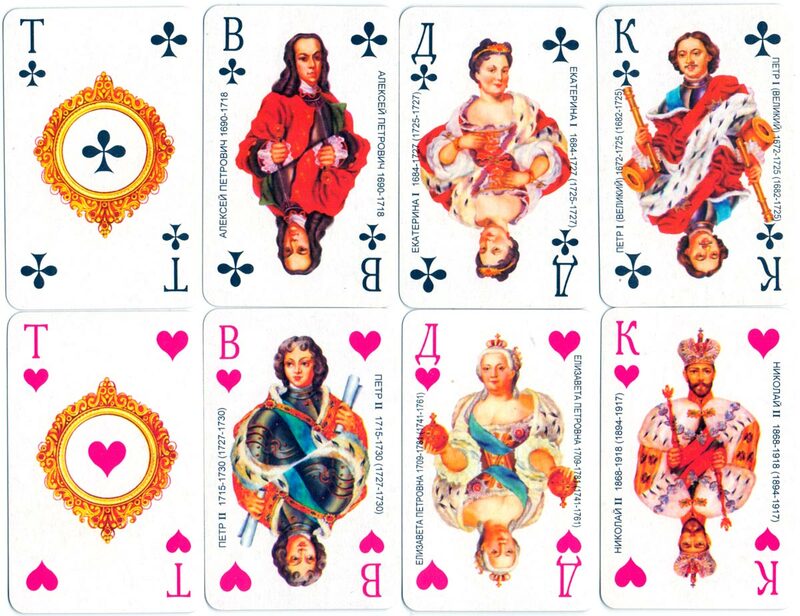 Peterhof deck manufactured by the Leningrad Colour Printing Plant in 1999 with court cards depicting representatives of the Russian Romanov dynasty who were rulers from 1613 until the Russian Revolution of February 1917. The designs were originally published by Piatnik as “Romanov” in 1997. Peterhof Palace was founded at the beginning of the 18th century and became the Russian Tsars’ summer residence during the 18th-19th centuries. It contains the world’s largest system of fountains and water cascades. Above: “Peterhof” deck manufactured at the Leningrad Colour Printing Plant in 1999. 52 cards + 3 jokers + extra card in box. The three jokers depict Rasputin, Biron and Menshikov. 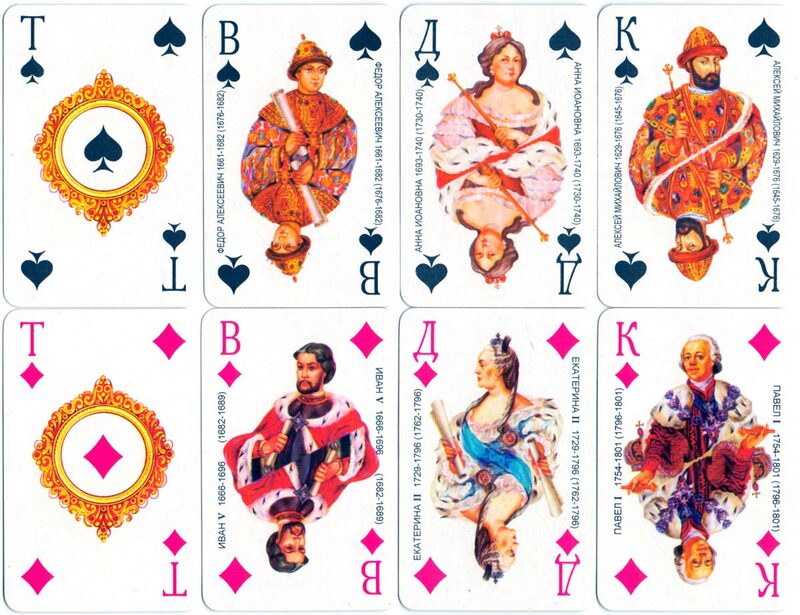 The deck had been printed previously by Piatnik with the title “Romanov” in 1997. Above: Peterhof Palace was founded at the beginning of the 18th century and was the Russian Tsars’ summer residence in the 18th-19th centuries.